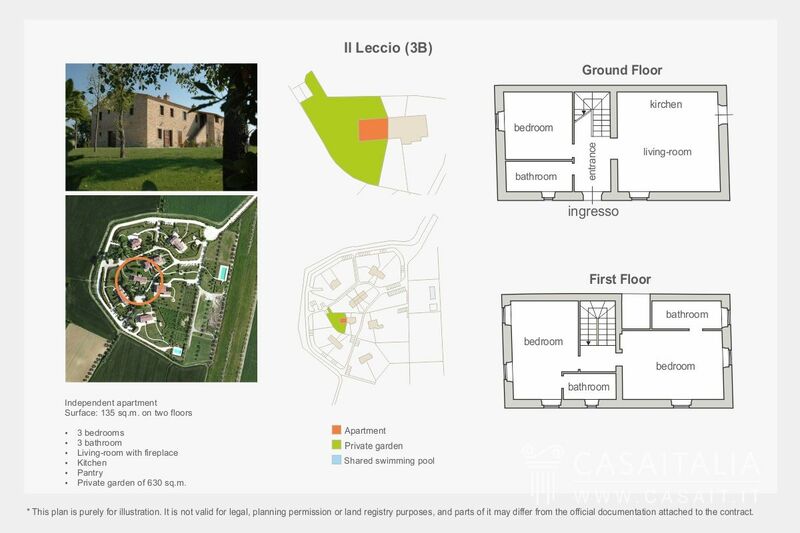 An ancient rural complex dated to the 18th century consisting of restored farmhouses hosting private dwellings: it is the exclusive setting of four independent residential units with private garden and shared swimming-pool. 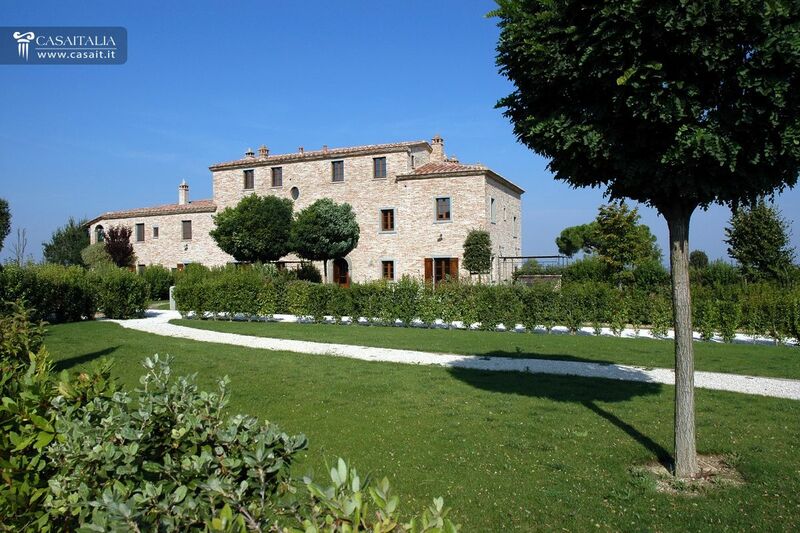 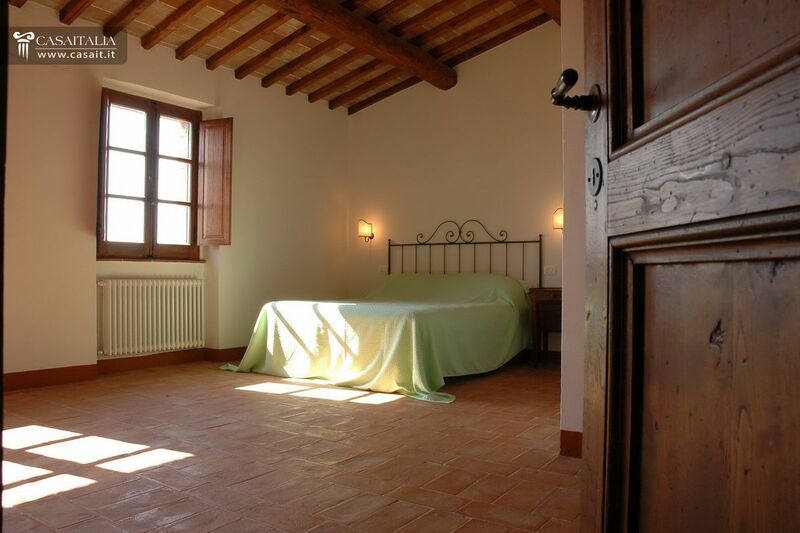 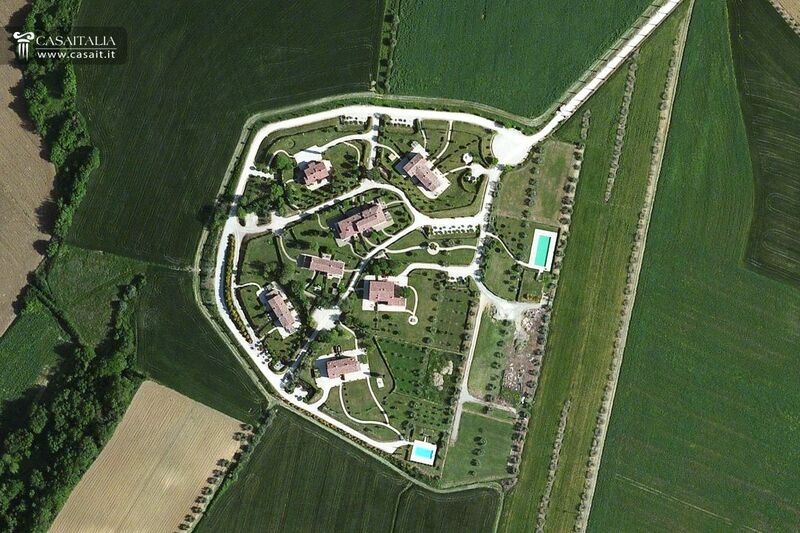 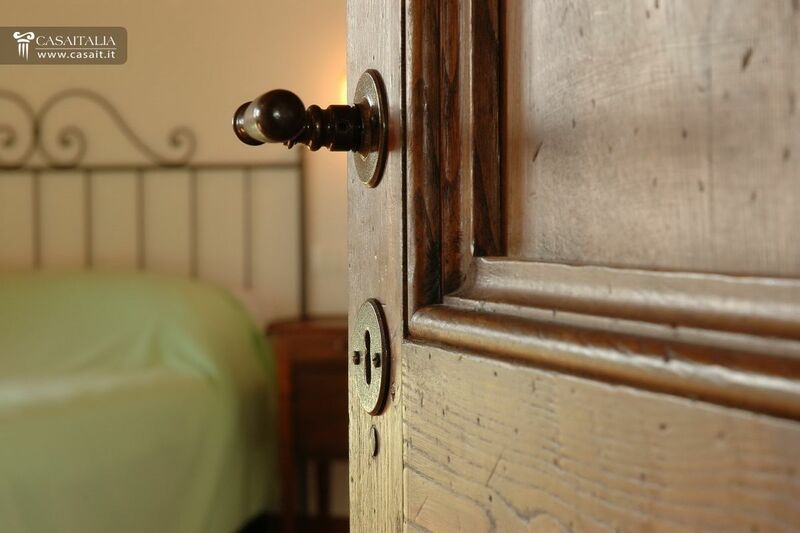 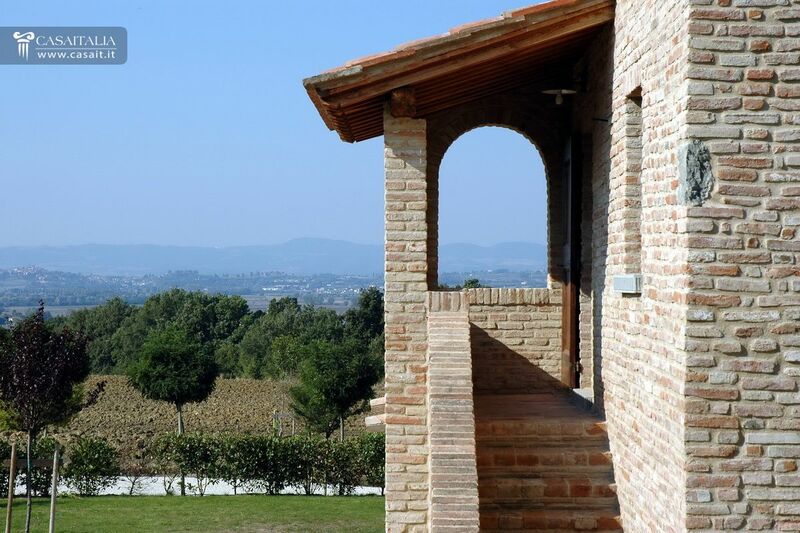 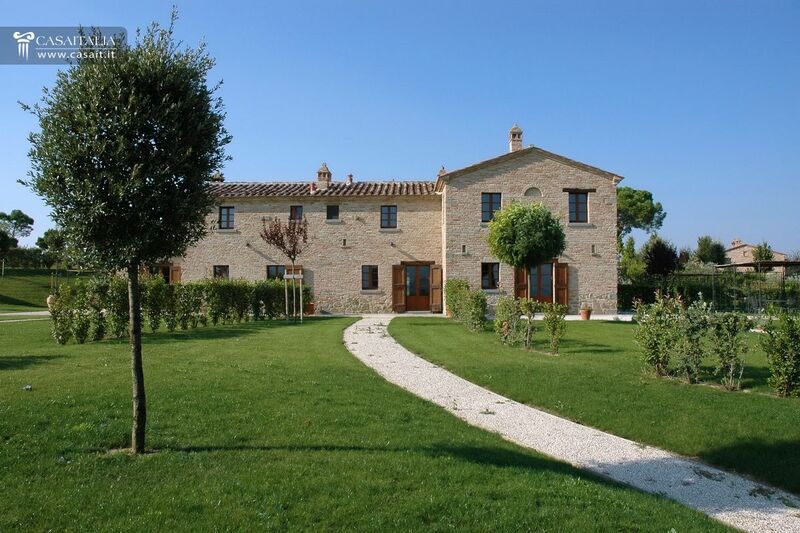 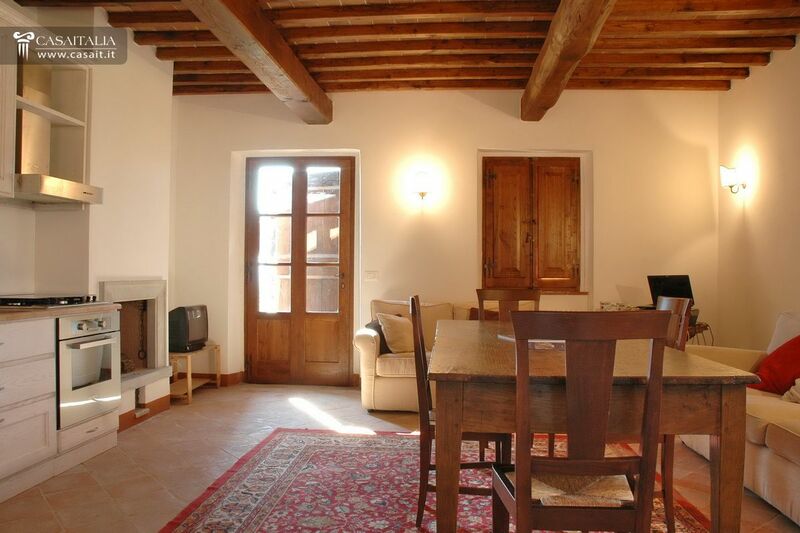 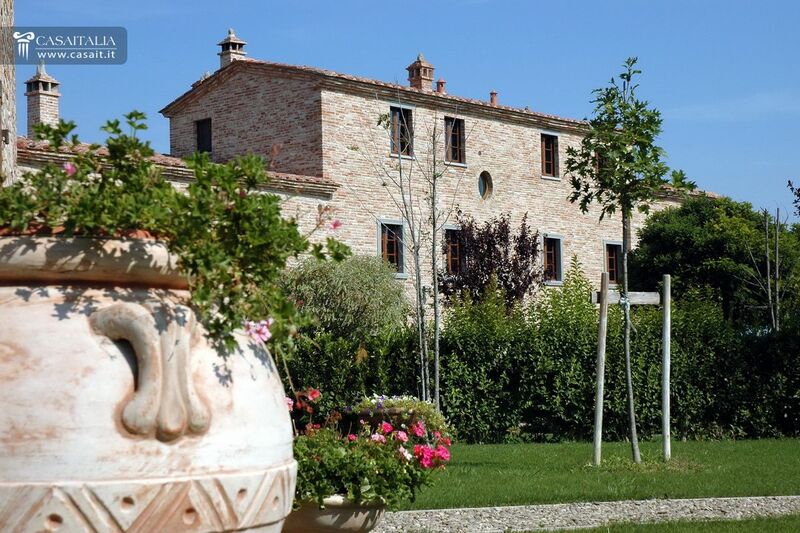 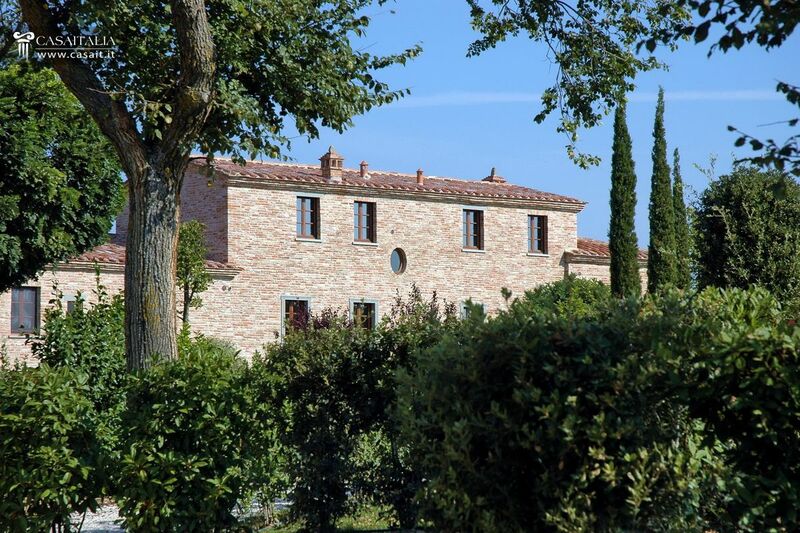 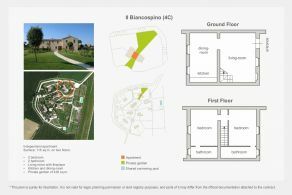 The farmhouses are conveniently located, at the top of a gently rolling hill overlooking a breathtaking view over the Tuscan countryside, only 13 km to Cortona, 20 km to Lake Trasimeno, and 25 km to Montepulciano. 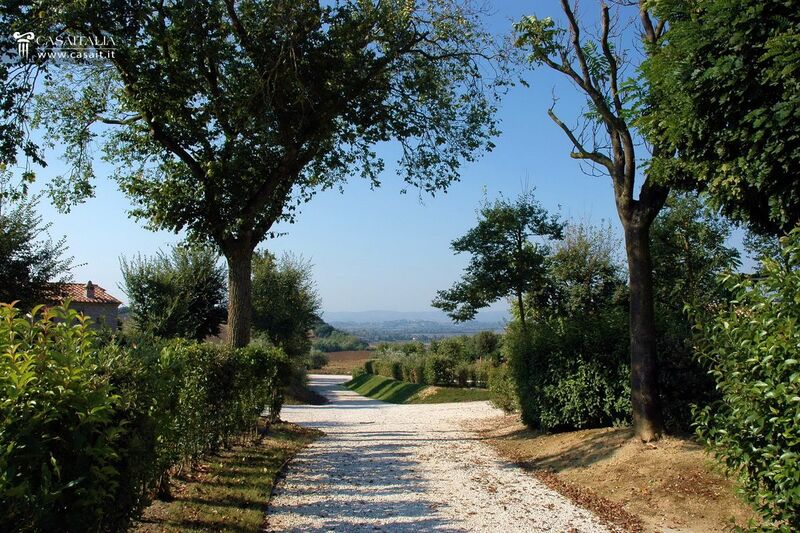 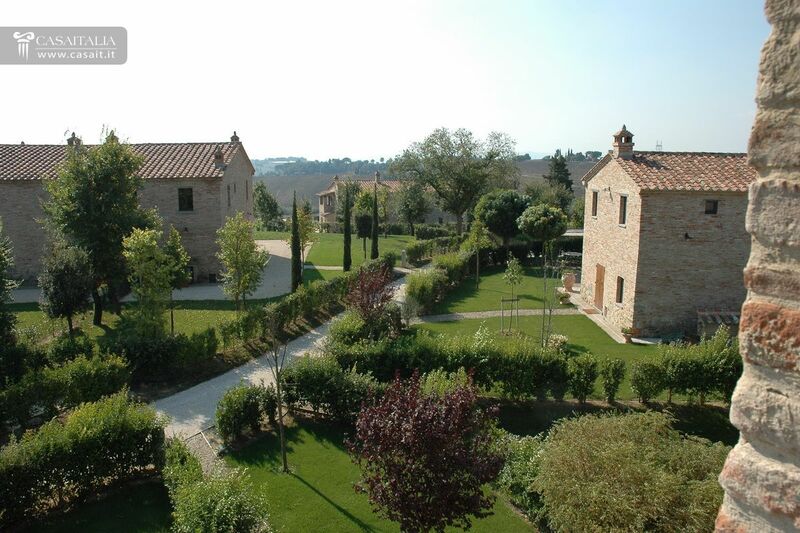 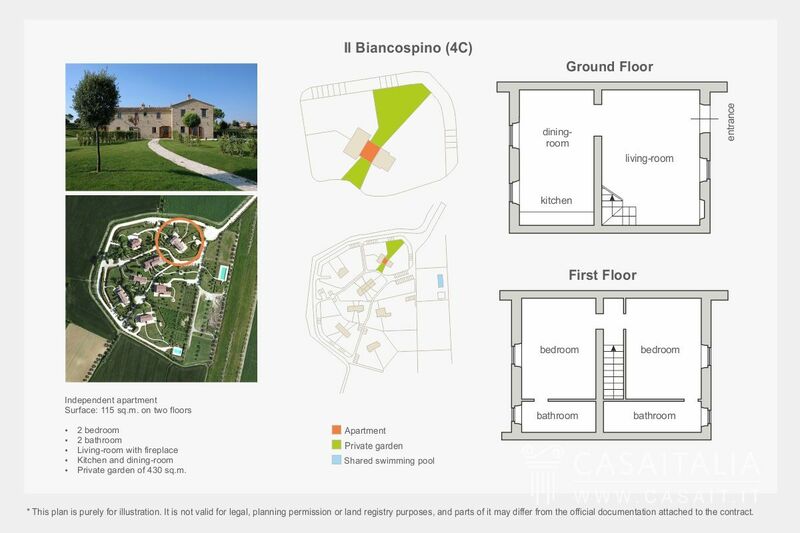 The area is easily accessible, secluded but not isolated and well-connected to the quickroad Perugia-Bettolle 4 km away and 8 km to the highway A1. 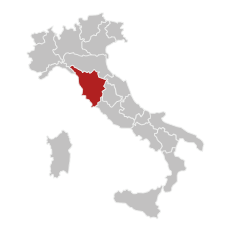 Perugia, Florence and Rome are respectively 30 minutes, one hour and one and a half drive. 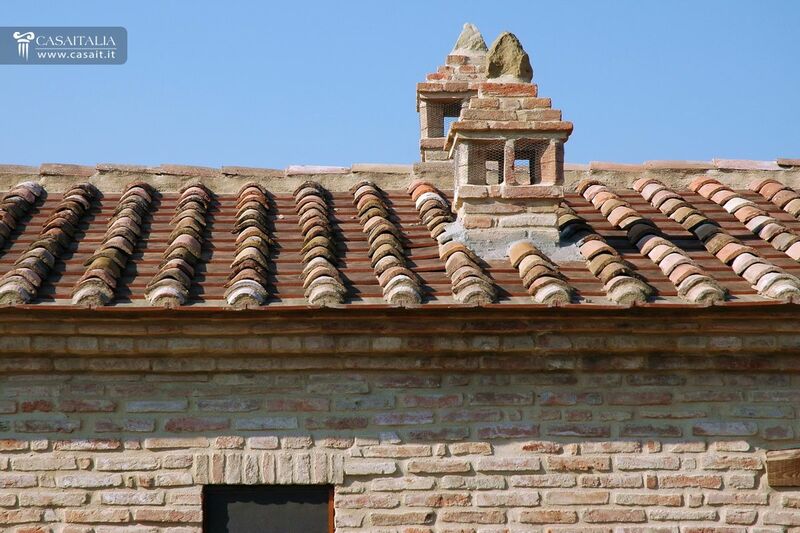 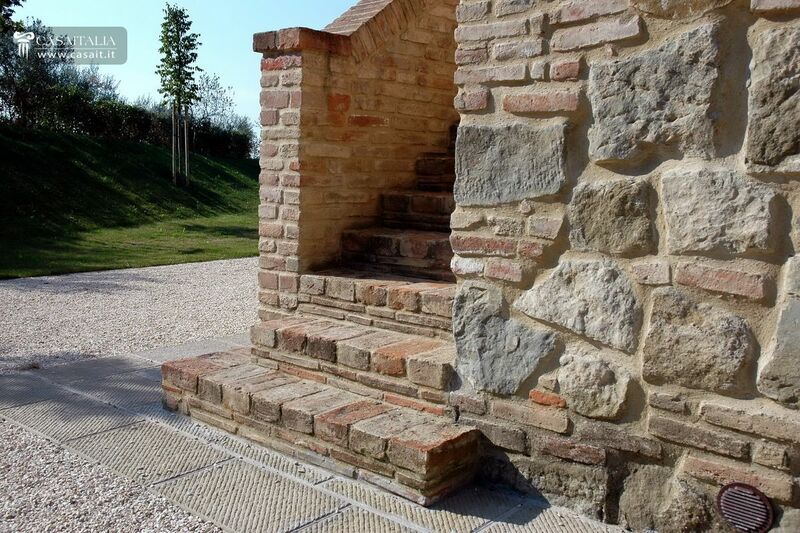 The restoration and the reconstruction have been carried out with total respect of the tradition, using both new and recycled materials such as handmade cotto, stone, bricks and wooden beams. 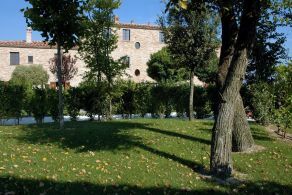 An automatic gate opens out at the bottom of the alley that, sraight along the hill, leads to the core of the complex. 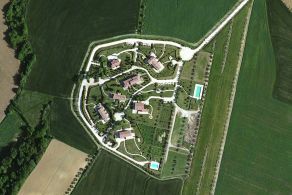 Each apartment overlooks its private lawned garden, bordered by hedges, beyond which there are two private parking areas for each property. 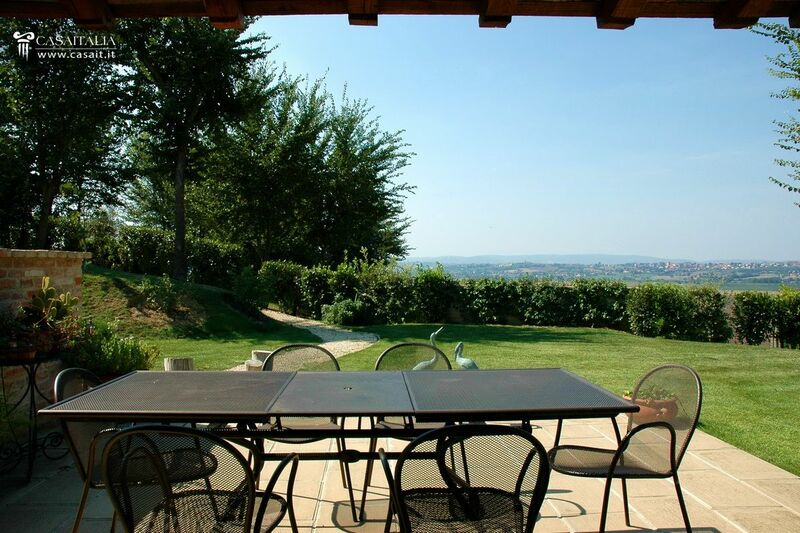 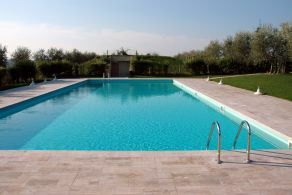 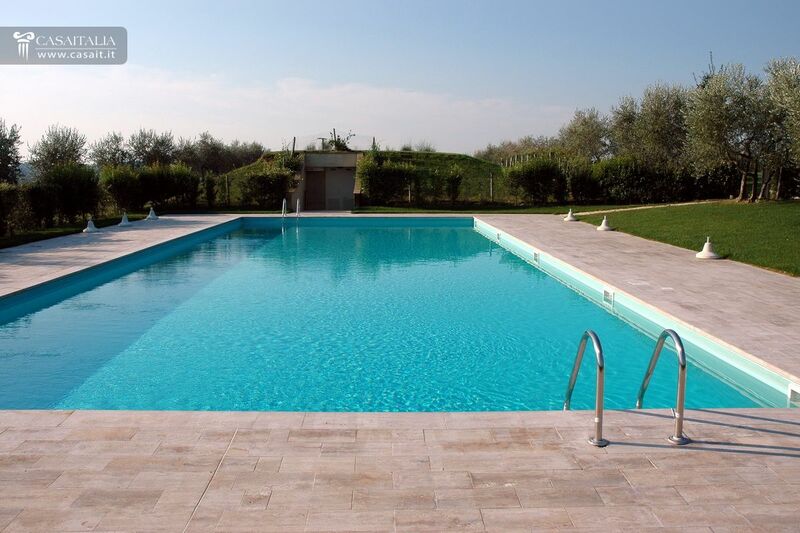 A beautiful swimming-pool overlooking the valley is located in a secluded position. The position secluded but not isolated, the closeness to the major roads and the peaceful location make this property the ideal solution for those who wish to invest in a high-end estate suitable for vacation or for weekly-rental.